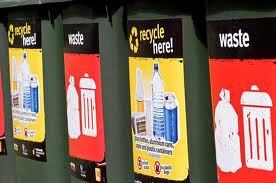 The city of Sydney has recycling bins all over the city. They are easy to find and are placed right next to garbage bins to make it even easier for locals and tourists to recycle paper, plastic and glass. Last week while in Sydney I walked up to one of these recycling bins right near the iconic Sydney Opera House and put my empty water bottle in. I usually reuse my plastic water bottles many times, but the challenge for me now is that since the water bottle companies are using less and less materials in making the bottles, the one I had was almost impossible to refill as it seems to be falling apart. So I recycled it and then sat down on a nearby park bench to watch the sunset across the Sydney Harbour. A few minutes later two men working for the city came by with a very large garbage bin on wheels. They were going around from one bin to the next to empty the smaller garbage bags into the large one and then replace the bag into he small garbage box. They took out the garbage and dumped it into the bin. Then they proceeded to open the recycling box and dump all that recycling into the same large garbage bin. I followed them for 10 minutes and watched them do the same to all the bins around that area. I often hear people say that it is a waste of time to recycle because it all goes into the garbage anyways. I always respond by saying that isn’t true. When I lived in Cambridge in the UK I visited recycling centres and saw how the whole process worked and how beneficial it was to city governments. But having seen this happen, at rush hour, in front of hundreds of people, it sends an extremely strong message. That this is just for show, that perhaps all this sustainability stuff is just for show. Why have the recycling boxes if they aren’t actually going to be recycled? Why go to all the effort of educating the public and providing collection vehicles when you are just going to, in a matter of 10 seconds it takes to empty that recycling into a garbage bin, erase all that effort. I will give Sydney the benefit of the doubt. it is possible that these two employees were lazy and choose to do this independently, that actually all the recycling and garbage is mixed and then sorted at waste stations, that there was so much garbage in those particular recycling boxes that it was too contaminated to use. But whatever the reason, the public message was stronger. 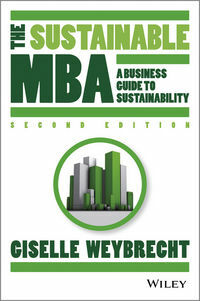 Consistency is so important in bringing about sustainability. You can go to a lot of effort to create a communication campaign, to educate your employees to engage your students but it can’t just stop there. You need to be consistent in your messages, otherwise all can be lost. As they say it takes a life time to build a reputation and only a few minutes to destroy it.